The slice of beef brisket was delicious. The whole hunk was reportedly 6kg, although by the time I arrived the others had whittled it down. The caramelized onions were wonderful and made the brisket even better. The Brussels sprouts had a little kick that tasted like horseradish, and deliciously infused with the flavors of pancetta. I was given 2 chunks of potatoes, and they had such a deliciously crunchy exterior that I "peeled" them and savored the browned bits. And yes… that is a little pile of kimchi on the plate. It's a staple at this household, and I didn't find it out of place at all. I need to cut down on my intake these days, so I restrained myself to only one slice of the brisket, while helping myself to more sprouts and delicious roasted sweet potatoes. There were, of course, a lot more to come in the form of desserts! 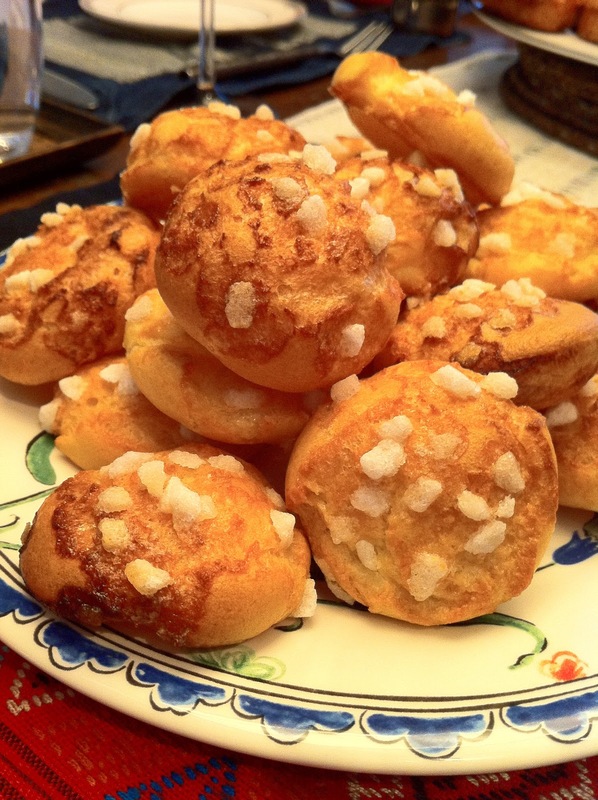 I don't remember having had our hostess' chouquettes before, but these were light and fluffy. Tasty, but full of hot air. Gimme more sugar!! En fin, les financiers! 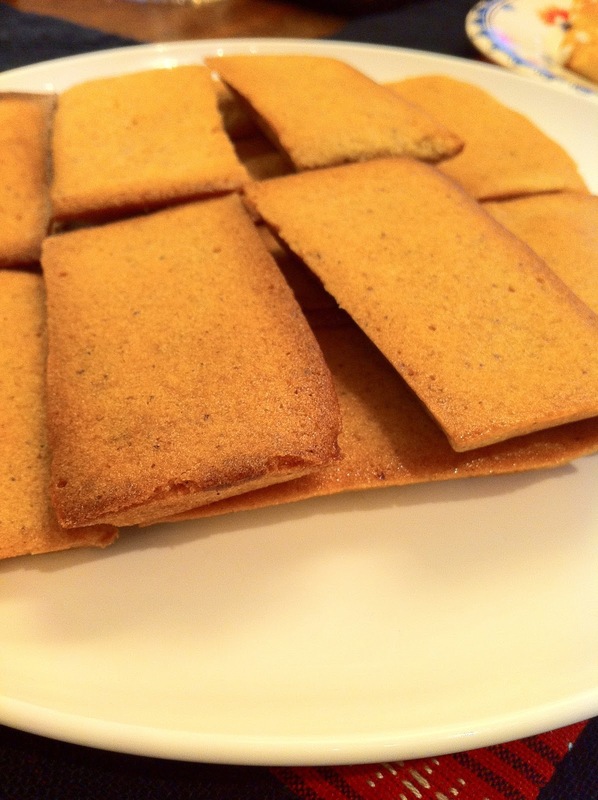 This batch was made with hazelnuts, and the fragrance just filled the air… especially while they were still baking in the oven. I think I had three of these… maybe four… oh who's counting anyway?! Cédric Bouchard Inflorescence Blanc de Noirs Val Vilaine (vintage unknown) - lovely honey and apricot notes. Very vibrant and lively on the palate. 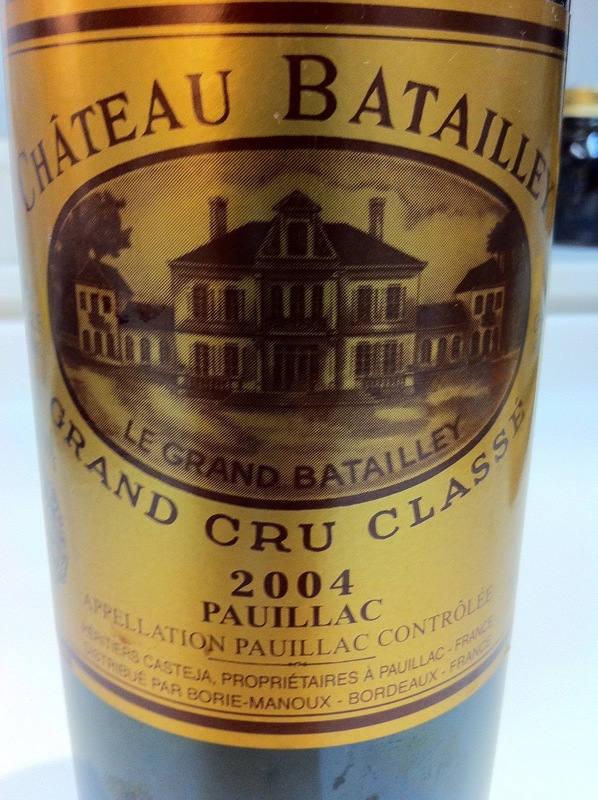 2004 Batailley - classic nose, smooth on the palate but still got that concentration right at the finish. 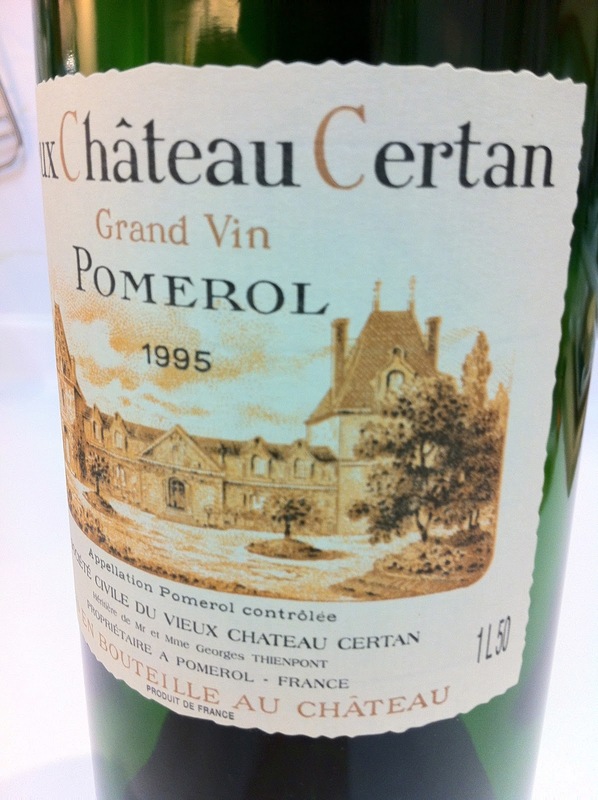 1994 Chapoutier Ermitage L'Orée en magnum - first whiff showed slight dusty notes, leading me to suspect a corked bottle. Sipping the wine confirmed that the wine was completely flat with no length. Poured the entire magnum down the drain. Disappointed with my so-called contribution. 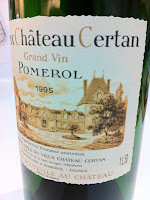 1995 Vieux Château Certan en magnum - opened and decanted just prior to serving. 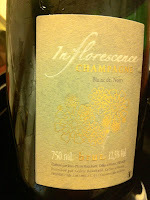 Smoke, brett, dried herbs and potpourri, cedar and sweet on the nose. Not bad. My contribution. 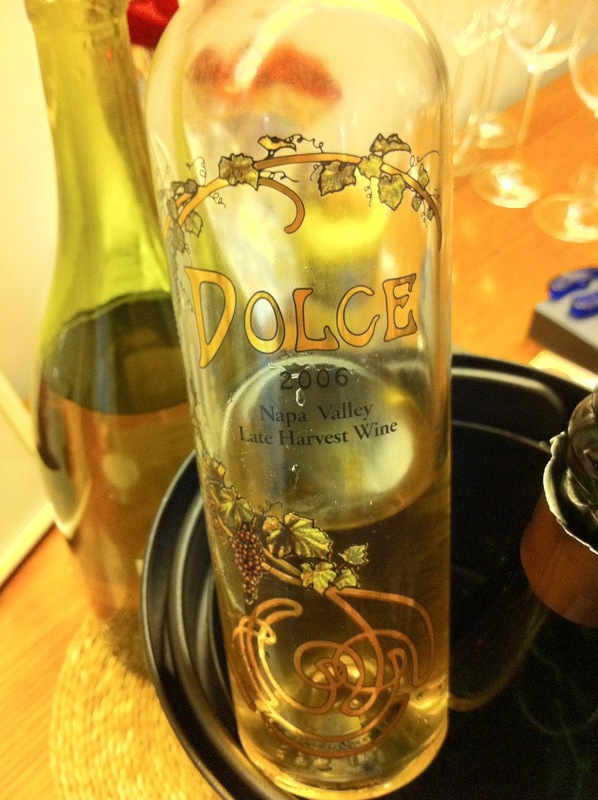 2006 Dolce - honey, tangerine and polyurethane. A little sharp and pungent still. We our bellies full, we migrated to the living room and spent the next couple of hours watching silly videos on YouTube… A very relaxing way to spend Christmas Day, I guess… Many thanks to our hostess and host for taking this straggler in.